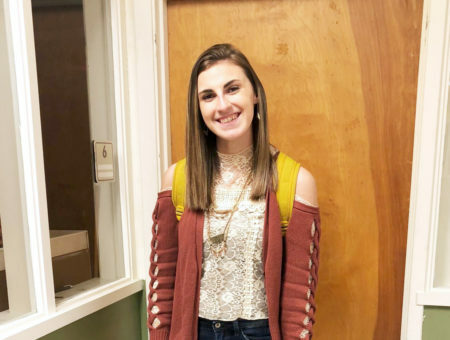 I’ve seen Katey from across the room in multiple classes but didn’t know her name – I just knew her as the girl who was always dressed up and looking fabulous. One warm spring day, she was looking especially fashionable on campus, so I decided I just had to talk to her about her style. 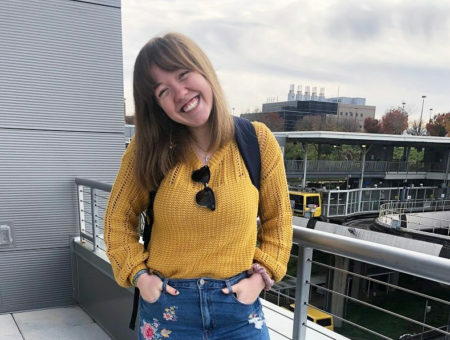 Read on to find out more about Katey! 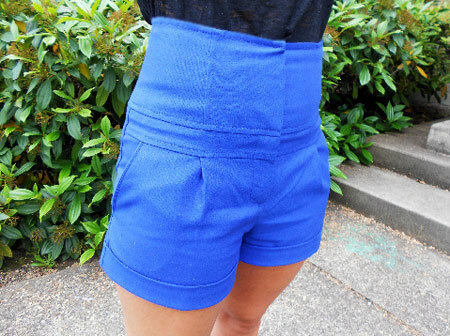 Katey’s cobalt blue high-waisted shorts really make a statement and help her stand out in a crowd. In addition to being eye-catching, they’re super flattering – the pleats and seaming details really cinch in the waist and create definition. 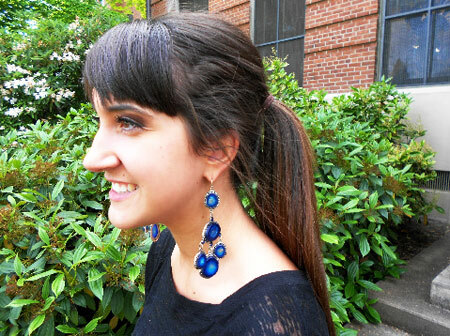 Katey’s long, dangling blue statement earrings really bring her blue and black look together, while elevating her simple ponytail hairstyle beyond basic. How cute are Katey’s funky black and blue oxfords?! A fun print, cute laces, and flat heels… what more could you want for just $20? What do you think about Katey’s style? 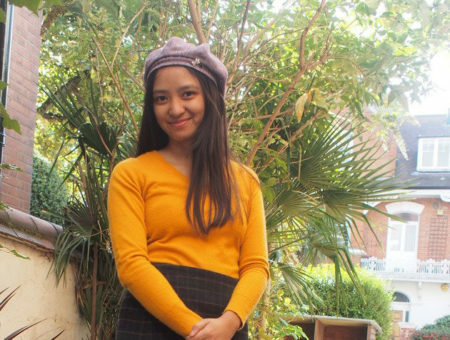 Would you wear bright high-waisted shorts? 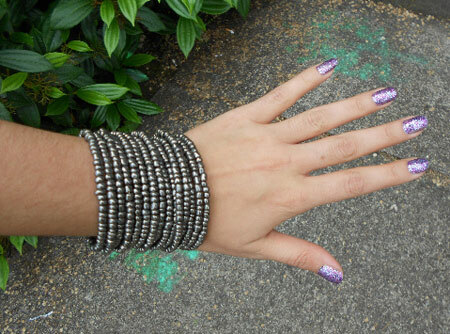 Super glittery nail polish? How about the printed oxfords? Let us know with a comment!